HotelMap for Workshop Coffee Co.
Stations near Workshop Coffee Co. Parking near Workshop Coffee Co.
Hotels near Workshop Coffee Co.
49-50 St John's Square, EC1V | 1 minute from Workshop Coffee Co.
St John's Square 86-88 Clerkenwell Road, EC1M | 1 minute from Workshop Coffee Co.
Central Street, EC1V | 8 minutes from Workshop Coffee Co. Alternative Cafes and Delis nearest Workshop Coffee Co. Nearest to Workshop Coffee Co.
116 St Johns Street, Clerkenwell, London EC1V | 1 minute from Workshop Coffee Co.
101 Turnmill Street, Clerkenwell, London EC1M | 3 minutes from Workshop Coffee Co.
9 Goswell Road, Clerkenwell, London EC1M | 4 minutes from Workshop Coffee Co. Dining near Workshop Coffee Co.
88 St John Street, EC1M | 1 minute from Workshop Coffee Co.
86 St John Street, Clerkenwell, London EC1M | 1 minute from Workshop Coffee Co.
47-48 St John's Square, Clerkenwell, Clerkenwell, London EC1V | 1 minute from Workshop Coffee Co. Restaurant deals near Workshop Coffee Co.
Events near Workshop Coffee Co.
Workshop Coffee Co., 113-117 Farringdon Road, EC1R | 5 minutes from Workshop Coffee Co.
Workshop Coffee Co., 63 Gee Street, EC1V | 6 minutes from Workshop Coffee Co.
Entertainment near Workshop Coffee Co.
113-117 Farringdon Road, EC1R | 5 minutes from Workshop Coffee Co. 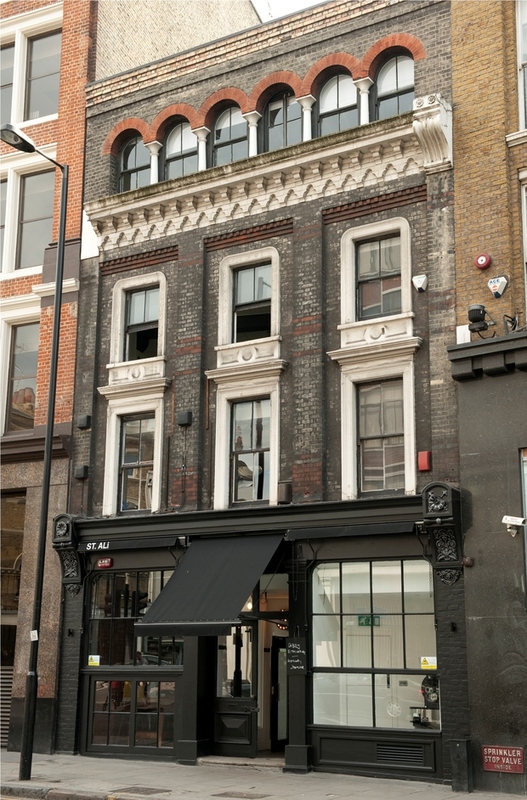 Guardian House, 119 Farringdon Road, Clerkenwell, London EC1R | 5 minutes from Workshop Coffee Co.
Sights and Attractions near Workshop Coffee Co. The best museums, galleries, attractions near Workshop Coffee Co.
Clerkenwell Close, Clerkenwell, London EC1R | 3 minutes from Workshop Coffee Co.
7-9 Woodbridge Street, Clerkenwell, London EC1R | 4 minutes from Workshop Coffee Co.
Sans Walk, Clerkenwell, London EC1R | 4 minutes from Workshop Coffee Co.
Shopping near Workshop Coffee Co. The best shops and markets near Workshop Coffee Co.
34 Clerkenwell Green, Clerkenwell, London EC1R | 3 minutes from Workshop Coffee Co.
91 Cowcross Street, Clerkenwell, London EC1M | 3 minutes from Workshop Coffee Co.
West Smithfield, Clerkenwell, London EC1A | 4 minutes from Workshop Coffee Co.
Education near Workshop Coffee Co.
Bourne & Hollingsworth Buildings, 42 Northampton Road, EC1R | 6 minutes from Workshop Coffee Co.
Garden Floor, 6 Coldbath Square, Clerkenwell, London EC1R | 7 minutes from Workshop Coffee Co.
161 Old Street, Clerkenwell, London EC1V | 8 minutes from Workshop Coffee Co. Leisure near Workshop Coffee Co.
Workshop Coffee Co. gyms, sporting activities, health & beauty and fitness. 12 Smithfield Street, City, London EC1A | 6 minutes from Workshop Coffee Co.
Northampton Road, Clerkenwell, London EC1R | 6 minutes from Workshop Coffee Co. The Basement, 49-51 Central Street, Clerkenwell, London EC1V | 6 minutes from Workshop Coffee Co.
Pubs near Workshop Coffee Co. The best pubs near London Workshop Coffee Co..
55 Britton Street, Clerkenwell, London EC1M | 2 minutes from Workshop Coffee Co.
43 Clerkenwell Green, Clerkenwell, London EC1R | 3 minutes from Workshop Coffee Co.
115 Charterhouse Street, Clerkenwell, London EC1M | 3 minutes from Workshop Coffee Co.
Nightlife near Workshop Coffee Co.
Workshop Coffee Co. clubs, bars, cabaret nights, casinos and interesting nightlife. 18-20 St. John Street, Clerkenwell, London EC1M | 3 minutes from Workshop Coffee Co.
7 St John Street, Clerkenwell, Clerkenwell, London EC1M | 3 minutes from Workshop Coffee Co.
105 Charterhouse Street, EC1M | 3 minutes from Workshop Coffee Co.
Meeting venue hire near Workshop Coffee Co.
Where to have your meeting, conference, exhibition, private dining or training course near Workshop Coffee Co..
St. Johns Gate, 26 St. John's Lane, Clerkenwell, London EC1M | 1 minute from Workshop Coffee Co.
Peter's Lane, Cowcross Street, Clerkenwell, London EC1M | 3 minutes from Workshop Coffee Co. Bleeding Heart Yard, off Greville Street, Farringdon, Clerkenwell, London EC1N | 5 minutes from Workshop Coffee Co.
Venue Hire near Workshop Coffee Co.
Our recommendations in the same street as Workshop Coffee Co.
Alternate names and popular misspellings for Workshop Coffee Co.
Workshop Coffee Co., Workshop Cofee Co., Workshop Cofe Co. The Piano Works 5 minutes walk from Workshop Coffee Co.
Museum of London 8 minutes walk from Workshop Coffee Co. The Lexington 15 minutes walk from Workshop Coffee Co.
Bank of England Museum 15 minutes walk from Workshop Coffee Co.
Peacock Theatre 16 minutes walk from Workshop Coffee Co.
Favela London 17 minutes walk from Workshop Coffee Co.
Aldwych Theatre 18 minutes walk from Workshop Coffee Co.
Scala 19 minutes walk from Workshop Coffee Co.
New London Theatre 19 minutes walk from Workshop Coffee Co.
From cheap budget places to stay to luxury 5 star hotels see our deals for Workshop Coffee Co. hotels, including The Zetter Townhouse Clerkenwell from 57% off.